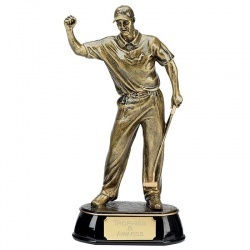 Detailed resin figure of (male) golfer figure with arm raised in celebration. 3 sizes. 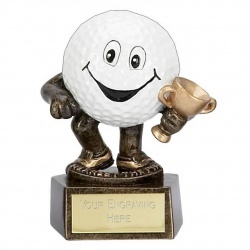 Resin novelty golf trophy with golf ball figure on base with 'Longest Drive' banner. 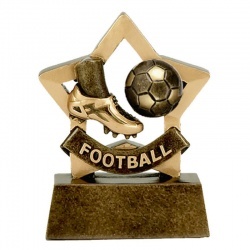 3.75in tall. 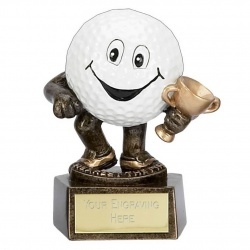 Resin novelty golf trophy with golf ball figure on base with 'Nearest The Pin' banner. 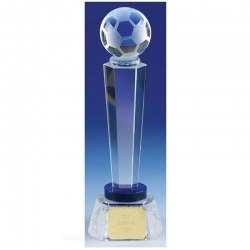 3.75in tall. 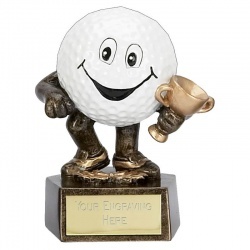 Resin novelty golf trophy with golf ball figure holding trophy cup, on base with plaque. 3.75in tall. 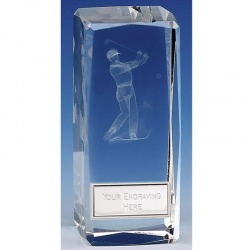 Solid glass block inset with 3D laser engraved lady golfer figure. 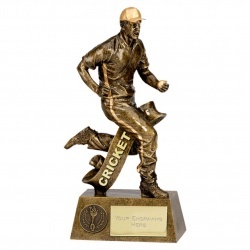 4.5in tall. 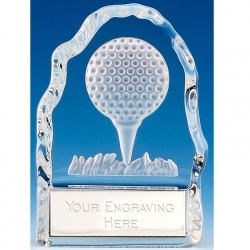 Solid glass block inset with 3D laser engraved golf ball on tee. 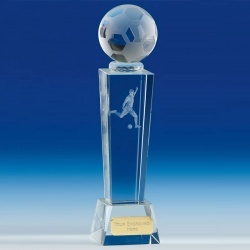 4.5in (11.5cm) tall. 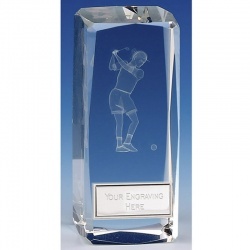 Solid glass block inset with 3D laser engraved male golfer figure. 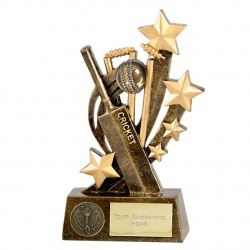 4.5in tall. 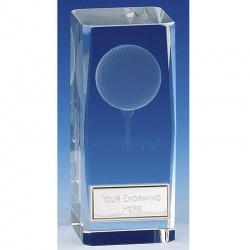 Freestanding glass block with 'chipped' edges inset with 3D golf ball motif. 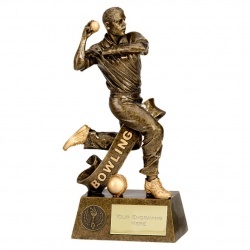 4.25in tall. 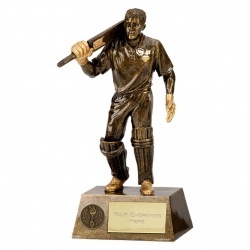 Freestanding glass block with 'chipped' edges inset with golfer figure motif. 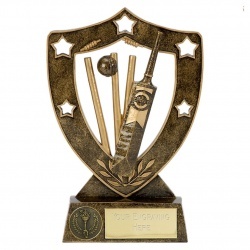 4.25in tall. 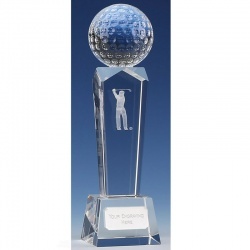 3D glass golf ball on tapered column set on bevelled base with plaque. 2 sizes.